Honor 10i with Triple Cameras, 32MP Selfie Camera and Kirin 710 - Playfuldroid! 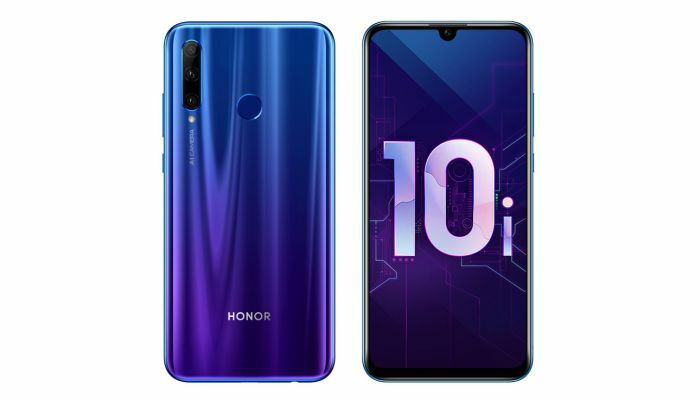 The Honor 10i is the latest smartphone from the Chinese manufacture to go official. The smartphone has gone official in Russia with Kirin 710 chipset, triple rear-mounted cameras and 32-megpixel frontal shooter. In terms of specs, it appears to be very similar to the Huawei Nova 4e. The Honor 10i comes with a 6.21-inch display. The IPS LCD panel has a waterdrop notch that offers full HD+ resolution. The Kirin 710 SoC designed for mid-range devise will be powering the Honor 10i along with 4 GB of RAM. It has a native storage of 128 GB and a microSD card slot for additional storage. The Android 9 Pie OS comes preinstalled on the Honor 10i along with EMUI skin. For optimized graphics performance, the Honor 10i has GPU Turbo 2.0 onboard. There is a 3,400mAh battery to keep the lights on. It is fitted with a front-facing camera of 32-megapixel. On the backside is a triple camera module that includes a 24-megapixel primary sensor, an 8-megapixel ultra wide-angle lens and a 2-megapixel depth sensor. 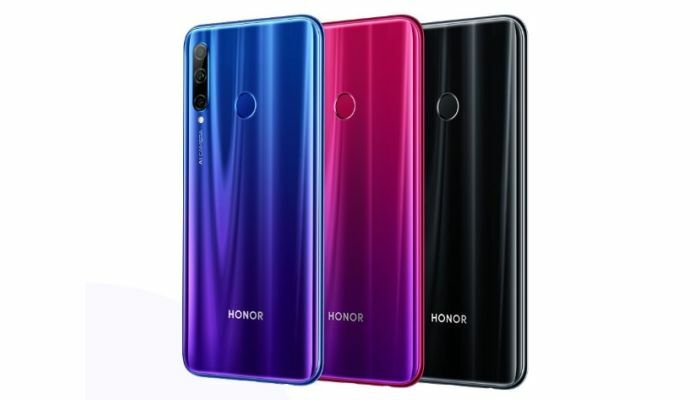 Shimmer Red, Shimmer Blue and Vicious Black are the three color variants of the Honor 101i. There is no information available on the pricing of the smartphone.